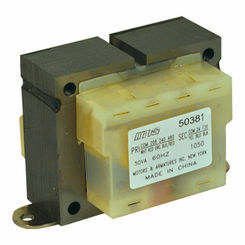 A transformer is a device that is capable of reducing or increasing voltage within your home appliances (for the sake of our discussion and the products on this page, let's focus on heating and cooling, as well as water heater applications). 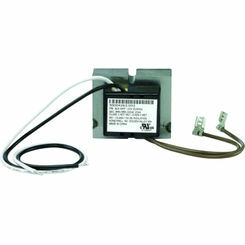 The best replacement HVAC transformer will have your furnace up and running to full capacity in no time. Save on wholesale HVAC parts at PlumbersStock and choose from trusted home improvement manufacturers like Honeywell. 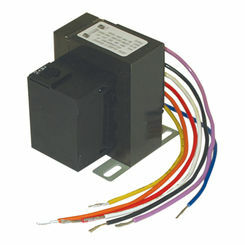 In essence, a transformer is designed to transfer electric energy from one circuit to another, usually with a change in voltage. 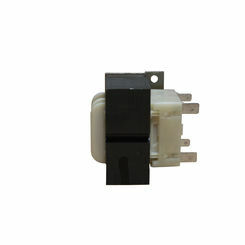 A transformer uses two basic properties of electricity in order to switch the voltage. 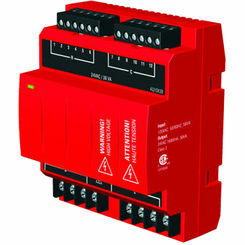 Property 1: an electric circuit contains magnetism around it. Property 2: whenever a magnetic field fluctuates by moving or the change in strength, voltage is produced (voltage is the measure of the electric force that “pushes” electrons around a circuit). Now how does it work? 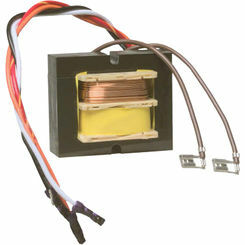 Putting both of these properties together will show us a transformer is constructed of two coils of insulated wire that are wound around an iron core. The first coil, known as the primary, is connected to a source of alternating current. 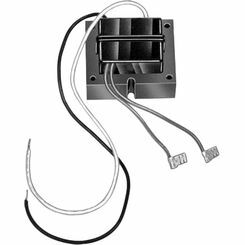 This steadily produces a varying magnetic field that in turn produces an alternating current in the other coil. To determine the change in voltage, you take the ratio of the turns in the primary coil to the turns in the secondary coil. For instance, a primary coil with 1 turn and a secondary coil with 10 turns will cause the change in voltage to be 10 times the amount as it exits the secondary coil. 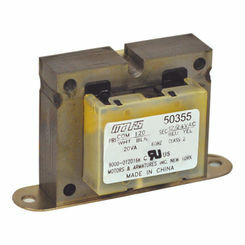 This kind of transformer is known as a step-up transformer because it is adding to the voltage. In contrast, if we were to switch the numbers, we would see the change in voltage to be 1/10 the amount as it exits the secondary coil. 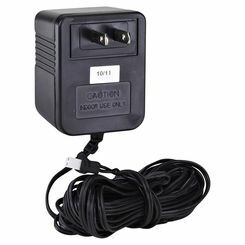 This is known as a step-down transformer since it is taking away from the voltage. 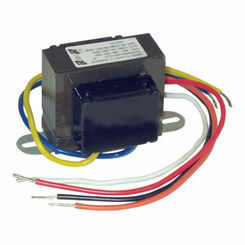 A transformer is essential in order to have your furnace, water heater, or cooling system work efficiently. 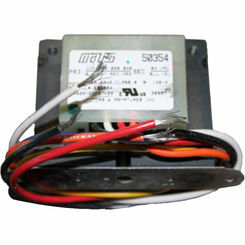 If your transformer fails, it may fail spectacularly, causing a fire or even small explosion. 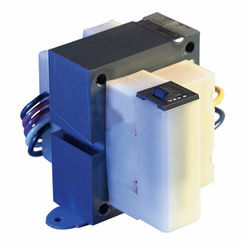 By design, a transformer is mean to heat up tremendously since it’s constantly running electricity. To prevent accidents, the wires are insulated and a coolant, such as mineral oil lubricates the assembly to keep it from cool. 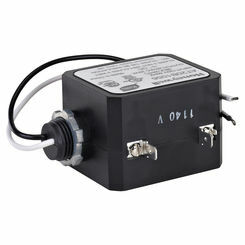 However, your home’s transformer may overheat due to outside factors. One of these may be a lightning strike that can overload your transformer. 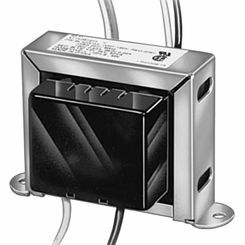 If you have faulty wires elsewhere in your electrical grid, this may cause too much electricity to flow into the transformer, causing it to overheat. 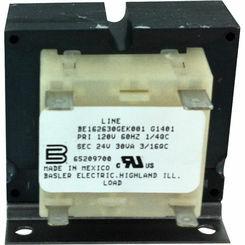 While transformers do have integrated safety features that can shut down the system in the event of a voltage spike, these safety kick-ins may take up to 60 milliseconds to trigger, a speed which may not be fast enough to keep it from blowing. 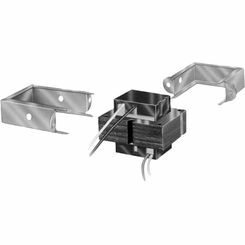 Additionally, normal factors such as wear and tear and corrosion can weaken the transformer’s insulation, increasing the likelihood of failure. 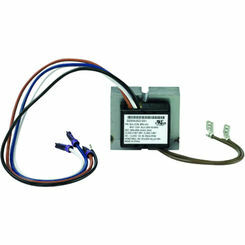 If your transformer has blown, you’ll need a replacement as soon as possible to get your HVAC control and working again. 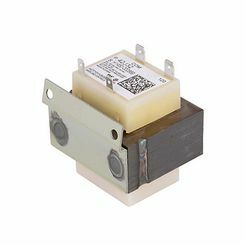 At PlumbersStock, we offer replacement transformers from some of the best names in the industry, including Milwaukee, Honeywell, and Delta. We offer the lowest wholesale prices for the same high-quality products you would find on a manufacturer site.